Ready to take your music on the road? 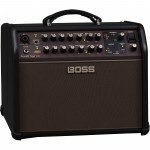 All you need is a guitar, a mic, and the BOSS Acoustic Singer .. 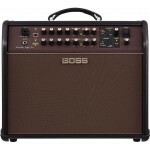 The BOSS Acoustic Singer Live brings the convenience of the full-powered Acoustic Singer Pro to a sm..